Founded in 1922, Federal Ammunition offers the industry's widest variety of ammunition. 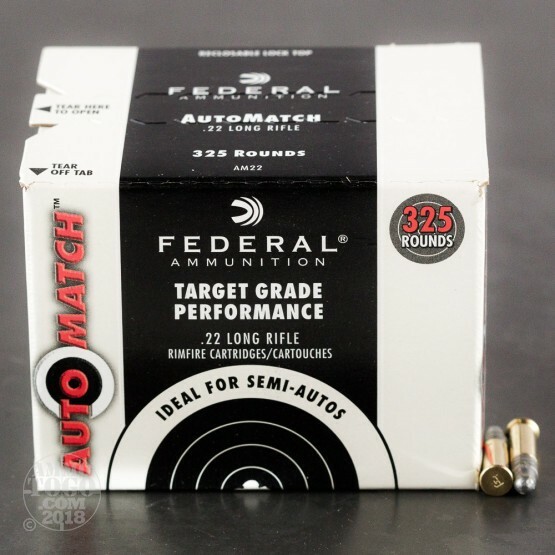 Federal's AutoMatch Target .22LR is a step up in quality from traditional plinking ammo. Engineered for improved accuracy, these loads yield higher consistency and smaller group sizes. This package contains 325 rounds of Federal AutoMatch Target ammunition. Each round is loaded with a 40 grain lead round nose (LRN) projectile. 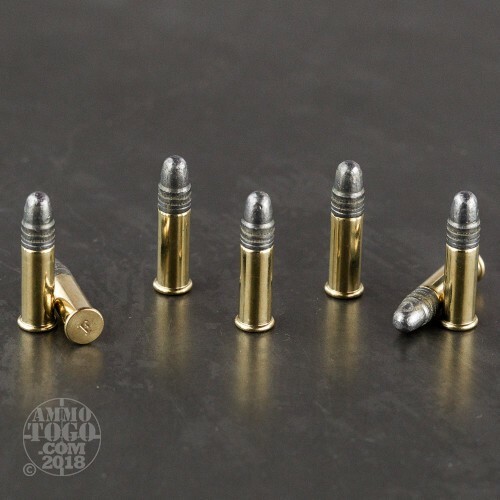 Producing a muzzle velocity of 1200 feet per second with 128 foot pounds of energy, these solid rounds are perfect for all your training and hunting needs. This high-quality rimfire ammunition is factory fresh and non-corrosive. 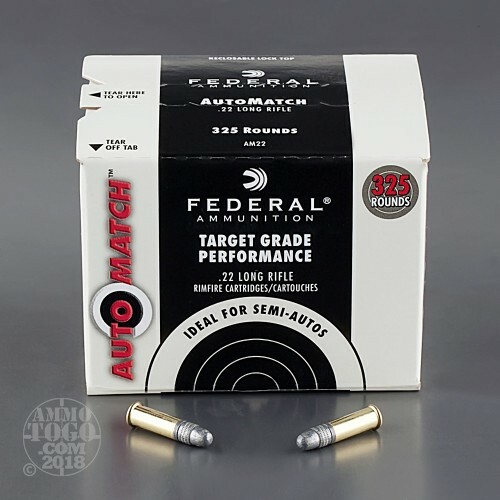 Federal AutoMatch .22 Long Rifle cartridges are designed specifically for modern semi-automatic Ar-style firearms, providing reliable feeding and function without excessive powder and lead residue. This ammo works well in my Glock .22 conversion model for 19 Gen 4. Just switch the slide from my 9MM to my .22 slide. I am using a Advantage Arms INC conversion kit from The Glock Store in San Diego. I always get good service from Ammo to Go. Great Ammo, works great in my Remington Semi Auto and Winchester 1890. Ill buy again. Thanks. 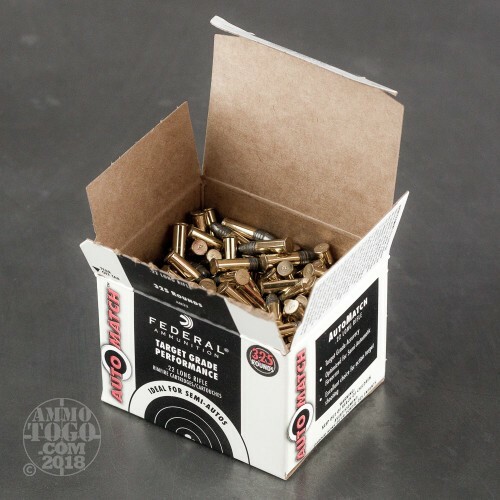 Federal .22 LR 40 gr. was good choice. Use in my Ruger 10-22, Ruger MK III and MK IV. Shipping was quick. Will use again and again. Great ammo. Always comes through without any hang ups. Took my girl out today to the range and went through around 500 rounds. Used in four different guns flawlessly. great ammo used this to easily shoot a rifleman's score at a local Project Appleseed event. No feed or extraction issues all weekend long in my Ruger 10/22. Actually very impressed with these rounds. Shot almost a whole box in an afternoon and not a single issue. Very smooth and reliable I'll definitely be picking up a few more boxes especially with that price!! Very reliable. I've had no FTFs. I'll buy more of this. Very fine. Inexpensive and quick shipping! Needed resupply, Federal has always been good for my needs. Will continue to buy & recommend.